Envelopes available with 1 color or 2 color printing. With security tints and Window Envelopes. Choose from a wide selection of color paper stocks for these Policy Envelopes. Available in 1/color or 2/color printing. 4/color printing on large quantity orders only. Plus, Policy Envelopes can be custom made on the paper stock of your choice. Please contact Envelopes Printed 4 Less and request a quote using a paper stock and color you would like. 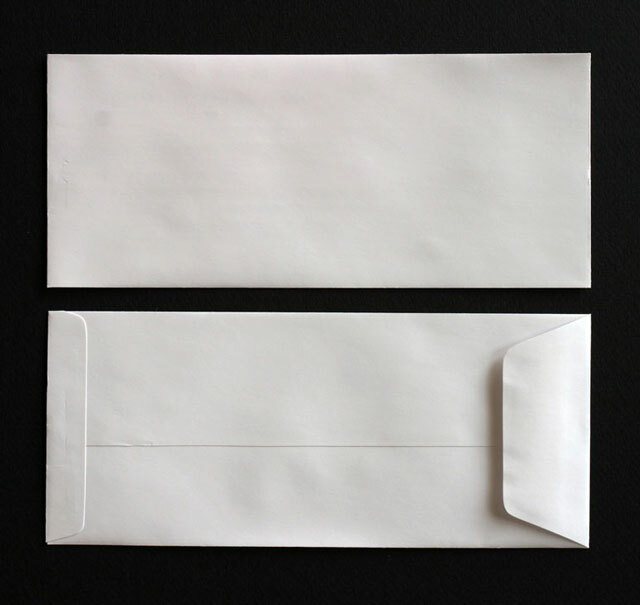 Envelope Paper is often characterized by weight. In the United States, the weight assigned to a paper is the weight of a ream, 500 sheets, of varying "basic sizes", before the paper is cut into the size it is sold to end customers. For example, a ream of 20 lb, 8.5 in × 11 in (216 mm × 279 mm) paper weighs 5 pounds, because it has been cut from a larger sheet into four pieces. In the United States, printing paper is generally 20 lb, 24 lb, or 32 lb at most.